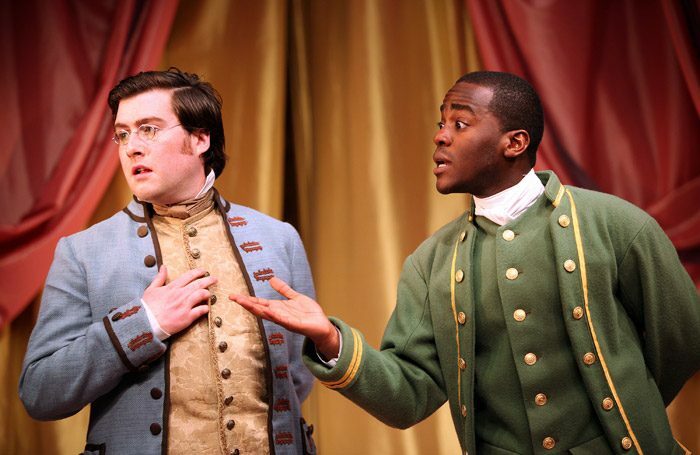 Richard Brinsley Sheridan’s 1775 play The Rivals is an overblown comedy of errant identities. Director Jonathan Humphreys’ production, however, strips it off its most farcical elements, making of it an enjoyably light and modern affair. 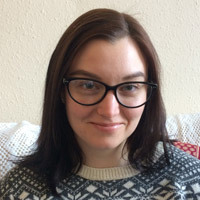 Beth Flintoff’s adaptation begins with Julia (Charlotte Bate) delivering a rhyming introduction poking fun at the political parallels between Sheridan’s era and today. It ends with the same, only this time Bate’s message has shifted from Brexit banter to cautionary comments on the perils of ignoring or avoiding love. Between these two shifting poles, the tangled aristocratic love story is kept engaging by the excellent performances of the central couple, Lydia Languish (Emma Denly) and Captain Jack Absolute (Ncuti Gatwa). The flirting between the stroppy, capricious pair is convincing and cynicism-dispelling, especially after the interval when Denly ramps up the pouty, disgruntled socialite act. One could make an entire play just from Gatwa’s catalogue of facial expressions – running from exasperated, eye-rolling disparagement to big-eyed and besotted with his Lydia. James Cotterill’s set design make neat use of the small stage, letting successive silk curtains descend flounce-upon-flounce until there are as many layers of candy-coloured material onstage as marital plotting. Julia’s dress has the hue of a sucked-on humbug and Lydia, with marginally Marge Simpson hair, is prettily dressed in mint and cream. But by emphasising its sugar-sweetness, Humphreys identifies an underlying message of Sheridan’s play: that we should all just hurry up and get on with loving one another.